Boca Raton Football Club media credentials are granted only to individuals on specific assignment with a legitimate working presence at a game, training session, or event. 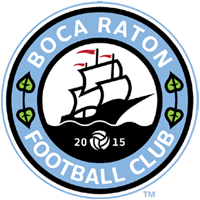 Credentials are non-transferable and the bearer must adhere to the Boca Raton FC Media Policy. Any unauthorized use of a credential subjects the bearer to ejection from the stadium. Interviews: Any and all interview requests must go through the Boca Raton FC Communications Department. Media members are not permitted to contact players, coaches, or front office staff directly at any time. Mixed Zone: A designated location near the locker rooms will be used as a mixed zone for media immediately following the press conference. A Boca Raton FC media relations member will be present at the location to assist all postgame interviews for TV, radio, and print. Locker Rooms: Media members are not permitted inside any team of officials locker rooms under any circumstance. No photography, audio or video recording may be collected in a locker room at any time. Failure to abide by this rule will result in the seizure of a credential and ejection from the stadium.